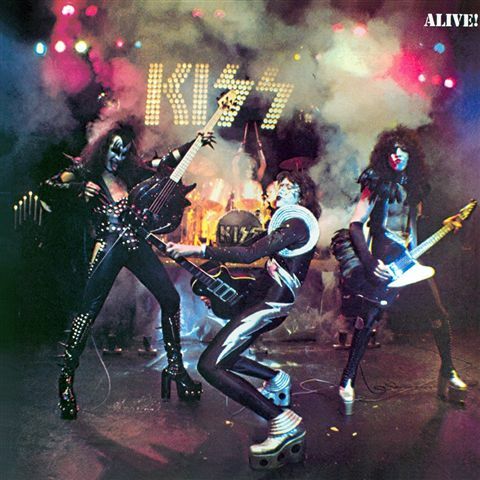 ‘Alive!’ has been steeped in controversy regarding studio overdubs, with multiple sources, including drummer Peter Criss, stating the only original live recording left untouched on the album is the drum performance. Regardless, the record made a huge splash and helped catapult KISS to the true stardom they had yet to achieve. Fans got a sense of the band’s feel for dynamics with exhilarating performances of hardened classics like “Strutter”, “Deuce”, “Cold Gin”, “Rock and Roll All Nite” and more. The recording gave these songs a larger than life feel, aided by Paul Stanley’s legendary banter that set them up. Deep Purple were one of the most feral and dominant live acts of the ‘70s. 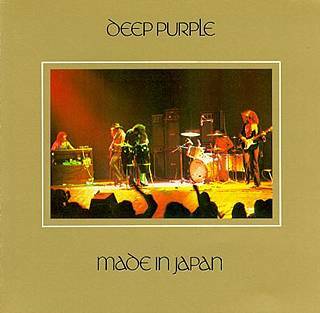 With a wealth of live recordings to their name, none of them can top ‘Made in Japan’. Recorded in 1972 by Martin Birch, the band had little interest in the release. Lined with nothing but all-time rock classics, the live album was an overwhelming commercial success, capturing the live essence of Purple, who treated the show like a gig at a dive bar. The performances are raw and surgically tight despite its loose and drawn out arrangements, highlighting one of the group’s numerous creative peaks. ‘Made in Japan’ has been certified double Platinum in the U.S. 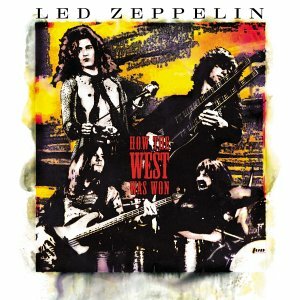 Led Zeppelin’s ‘How the West Was Won’ is not your typical live album. Jimmy Page meticulously worked on stitching live recordings together from two 1972 shows performed two nights apart and released 31 years later. The result was by and large not just the greatest live Led Zep recording, but one of the greatest live albums in music history. A top to bottom knockout performance from all members across the album’s two and a half hour runtime, the real highlights come in the drawn out versions of classics like “Dazed and Confused” and “Whole Lotta Love”, both stretching over 20 minutes each. 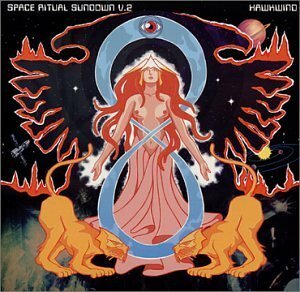 After completing one listen of Hawkwind’s brilliant ‘Space Ritual’, it is seems possible to have indulged in a psychedelic trip without ever ingesting any of the capable drugs necessary to do so. With no silence between songs, the double live album is an immersive near-90 minute experience, cruising through the cosmos to tunes like “Earth Calling”, “Space Is Deep” and “Orgone Accumulator”, as Lemmy Kilmister’s driving bass is front and center of it all. This endless stream of low-end, rocket propulsion keeps listeners suspended without gravity until the… trip… is all over. 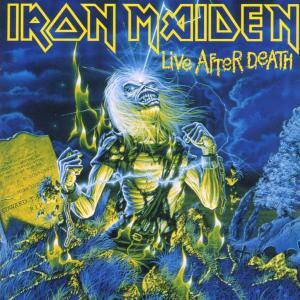 ‘Live After Death’ properly captured Iron Maiden’s frenetic live act on the back half of their expansive, 187-show ‘World Slavery’ tour in support of their mighty fifth record, ‘Powerslave’. Famously kick off with a speech from Winston Churchill, “Aces High” marks the opening of the set as Bruce Dickinson storms the stage with one of the most challenging songs of the night. 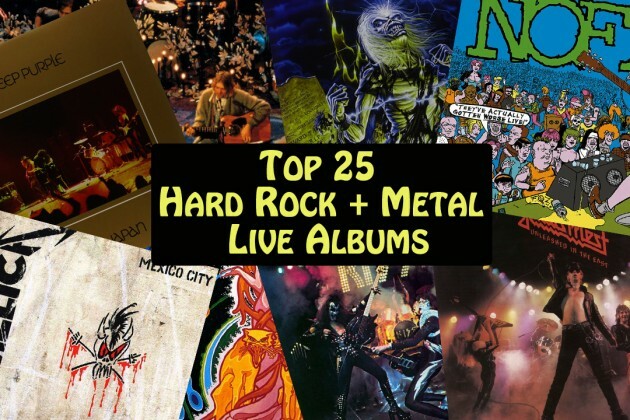 Featuring classics like “Revelations”, “The Trooper”, “The Number of the Beast”, the new epic “Rime of the Ancient Mariner” and more, ‘Live After Death’ is most notably completed by Dickinson’s stage banter, a hallmark of any Maiden show.